An eccentric but likeable guy in my town has literally taken upon himself the admonition to bear the cross. Years ago John fashioned a small crucifix out of wood, and since then he walks regularly along the side of a highway carrying the cross. He used to bear the cross on one shoulder while waving and blowing kisses to the folks in passing cars. Local people know John, and many blow kisses back or toot their horn to say hello as they drive past him. Recently John performed a penance upgrade and fashioned a much larger cross out of PVC. Now he needs two hands to hold the cross rather than one. The sad result of his new format is that his arms are occupied with the cross and he is no longer free to wave and blow kisses. Personally, was disappointed at his tradein. I liked him better when he was broadcasting love. When your arms and shoulders are taken up carrying a cross, you can’t give the love you are capable of sharing when they are free. Self-imposed suffering is not a gift to the world. It renders you less capable of loving, not more. Could it finally be time in the evolution of humanity to revisit our belief in the value of suffering? Many religions and belief systems accept suffering as an inescapable reality, and even glorify it. Christians stoically sing of bearing the old rugged cross. Hindus justify poverty and disease as the paying off of karma. And the answer to the question, “How many Jewish mothers does it take to change a light bulb?” is, “None - but that’s all right, I’ll just sit here in the dark.” By a bizarre twist of reason, pain has been forged into a breastplate for the downtrodden. Does suffering really lead to happiness? Does sorrow really grow peace? Does self-punishment really pave the way to heaven? Whatever we focus on, we get more of. Attention is intention. Apple seeds do not grow oranges, pain does not beget peace, and fear does not lead to love. Sorrow is the parent of sorrow, and joy is the parent of joy. One does not create unlike itself. I saw an interesting movie that reveals a fascinating dynamic nested in the recesses of the human psyche. The Brass Teapot tells of a young couple severely strapped for cash. Then they come upon a genie-type teapot that produces money for them, but only when they experience pain. A little pain begets a little money and a severe pain begets big bucks. So the couple starts punishing themselves, then each other, then other people, to grow their bank account. I am not necessarily recommending the movie, which contains some silly violence. But I did find the premise fascinating. Many people believe that they deserve good things only if they suffer to get them. You must struggle and sacrifice to earn enough money to have what you want. If you don’t, you are a slacker. Ease equals cheating. Pain buys worthiness. There are better things you can do with the energy you invest in suffering. You could actually be happy. Strange as the concept sounds, you are not here to struggle. You are here to experience joy. If this notion seems confrontive or self-indulgent, you prove my point. To expect anything less of life than wellbeing is a compromise none of us can afford to make. When my friend Lou was a young man, he entered a monastery. There he was taught to mortify the flesh. The monks were given leather straps and instructed to beat themselves daily. They wore their undershorts while showering so as not to rile their passions. Meanwhile many of them were engaging in homosexual activities behind closed doors. You cannot beat yourself into goodness. What you suppress you empower. Lou left the monastery to become a public high school teacher, where he instituted a class called Humanities, in which he treated the students as important, intelligent, loving, capable people. He set up creative opportunities for them to express themselves and do community service. The students themselves became the curriculum, and they loved it. Lou’s goal was to find, draw forth, and celebrate the best in each person. As a result, he was voted best teacher every year. Lou and I shared a house, and during that time he regularly received phone calls from former students telling him that his class above all others had prepared them for life. Crucifixion does not prepare you for life. It ends it. We are here to live, not die. When death comes, it should signal the end of a life well lived. Today would be the perfect day to begin that life. 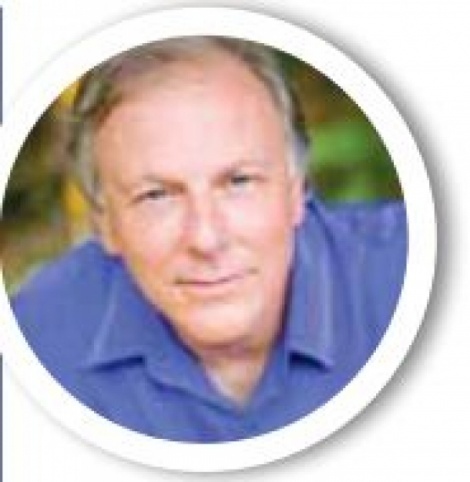 Alan Cohen is the author of many inspirational books. Join Alan’s Life Coach Training Program, beginning September 1, to become a professional life coach or incorporate life coaching skills in your career or personal life. For more information about this program, Alan’s Hawaii Retreat, books, free daily inspirational quotes, and his weekly radio show, visit www.alancohen.com.